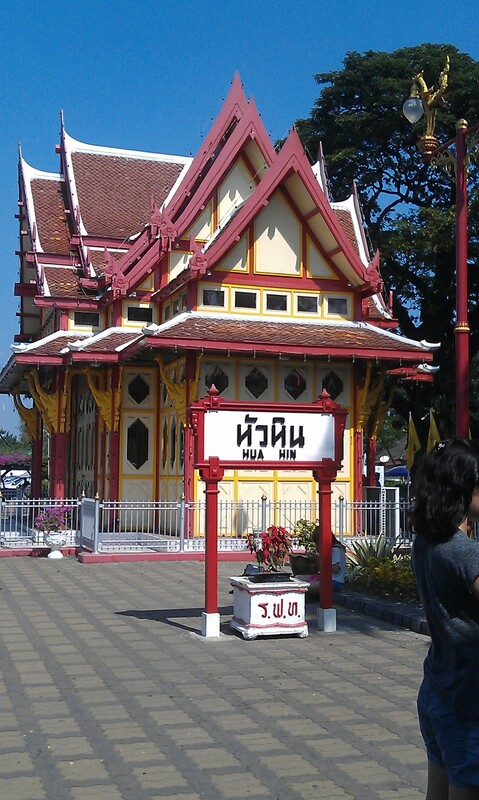 Having already used the MRT (Metro) & Skytrain in Bankok, we were keen to experience overland train travel to our next stop; Hau Hin. Depending on the route, time & type of train, there can be several ticket types available. 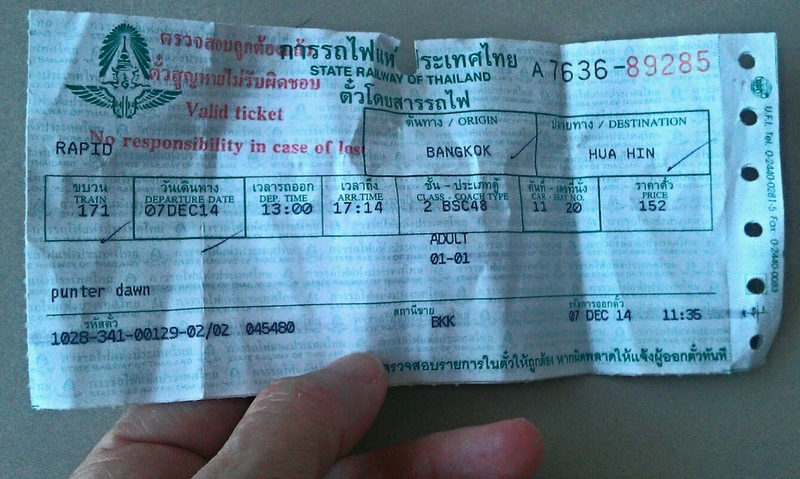 We were offered 2nd class with ceiling fan, for a fare of 152 Baht. Alternatively there were airconditioned seats priced higher, (but still cheap by our standards & would have been preferable on the hot day we travelled). Don’t expect trains to leave on time. We were about 15mins late departing & in total 45 mins late arriving at our destination. 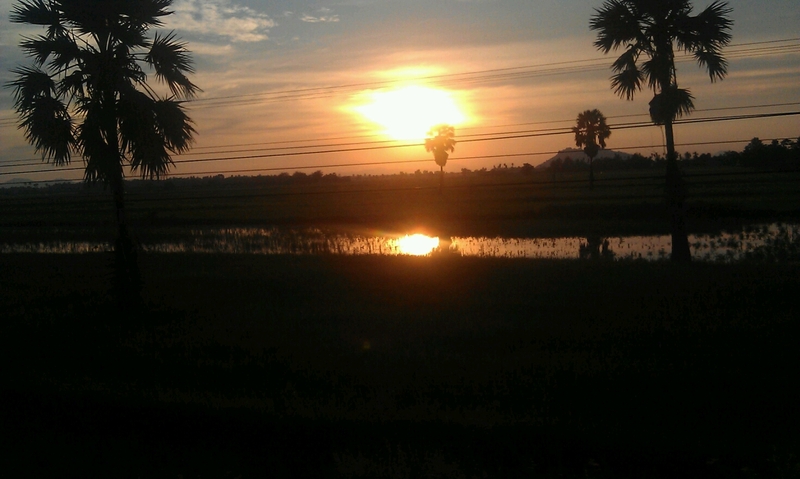 In fact, it took at least an hour to finally leave the outskirts of Bankok, as it crawled around the suburbs. However, it’s not as though you are in a rush to be anywhere; so relax & enjoy the view. We put a couple of things in our bag to eat on the journey; however, we needn’t have worried. Food is in abundance! 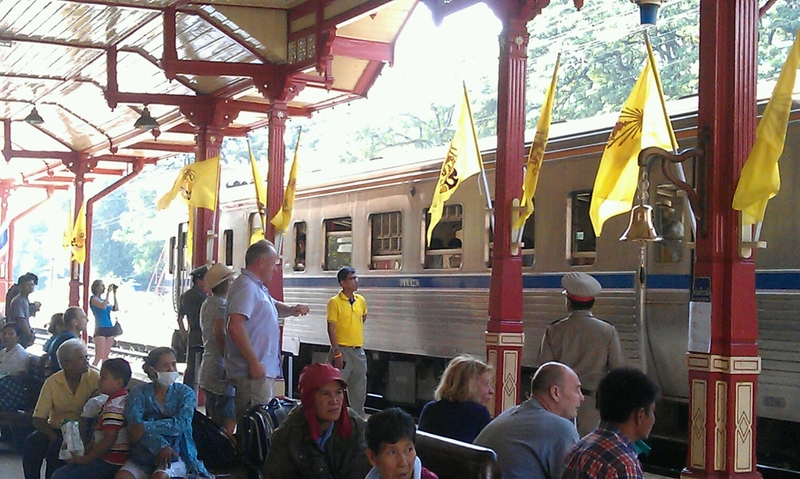 There was a constant stream of staff from the buffet car during the 5hr journey. On offer were: Thai meals; snacks such as kebabs, sausages & pastries; soft drinks; various cakes & biscuits; various fruit and things I didn’t recognise. If you get bored with that, at each station vendors board with: noodles & dumplings; boiled eggs; various cakes & biscuits… The list is endless! 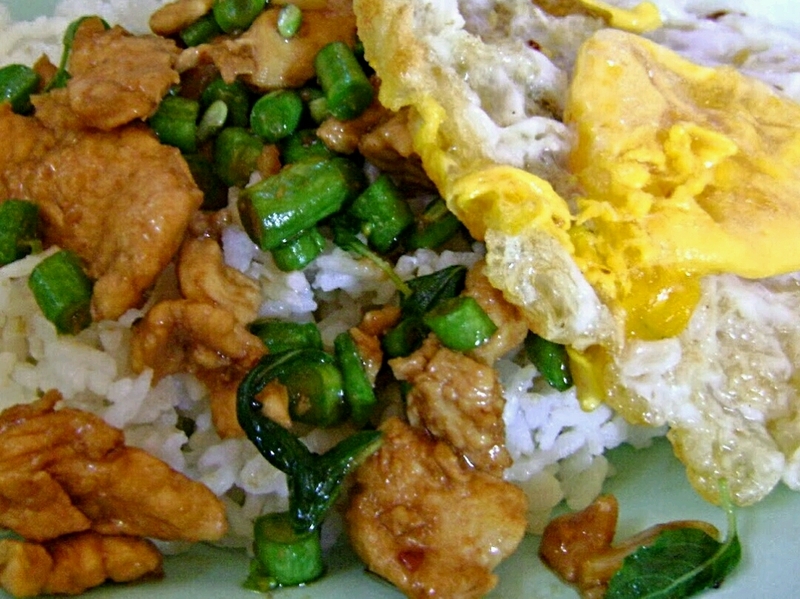 With 5hrs, you could just eat your way to Hau Hin! 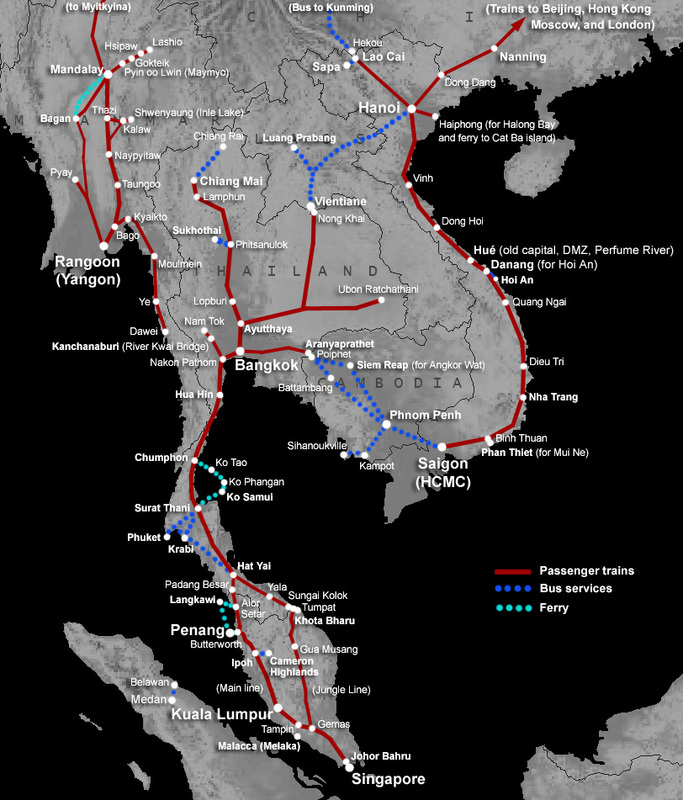 There are extensive routes available across Thailand & it is a cheap & easy way to travel. For more information of all routes, prices & times, see Seat61 for information. This blog is brilliant, you should consider becoming a travel writer! 😉 Thanks Clair. Now that’s a way to keep us travelling – I like it.